IT HAS been nearly four decades since the first case of drug-resistant malaria was spotted in the world. Since then scientists have been trying hard to develop medicines to counter its menace. Now a research has shown the potential of two plants—Tinospora cordifolia (guduchi) and Cissampelos pareira (akanadi)—commonly used in ayurveda, as an antidote to malaria. The plants are found in tropical parts of India. 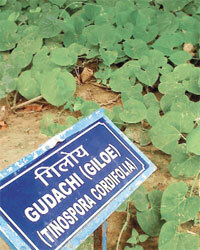 Guduchi is used to cure ulcers, dysentery, urinary diseases and diabetes. Akanadi finds use as a diuretic, anti-inflammatory and digestive medicine. To test the efficacy of the plants the team from Department of Bioscience, Himachal Pradesh University divided mice into four groups. They all were inoculated with Plasmodium berghei. One group was given the recommended dose of chloroquine, commonly used to cure malaria. The second group was given plain water. 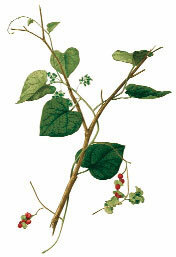 The third and the fourth group were administered with extract from Tinospora and Cissampelos respectively. The mice were checked for the presence of the parasite in the blood stream. The group which was treated with plant extracts had less than half the parasitaemia than the untreated ones. Thus these plant extracts can effectively be used to treat malaria. The study was published in the November 24 issue of Current Science. Commenting on the study A C Dhariwal, Director of the National Vector Borne Disease Control Programme says, “It is always beneficial if we have alternatives for fighting the disease, and it is even better if the cure is from a source available easily in our country.” The government has decided to tackle malarial drug resistance by treating patients with artemisinin-based combination therapy, he adds. Such treatments are now a standard treatment worldwide but are expensive. The starting compound artemisinin is isolated from the plant Artemisia annua, a herb described in Chinese traditional medicine. Malaria is serious disease if we not treat it properly it also causes death sometimes. Usually many people are having antibiotic of it but there is ayurvedic cure is also available said in above article. Thanks for sharing this article with us. Malaria is one of the serious ailment and may be sometimes fatal in ignored cases.So always pay attention when it is recognized or diagnosed. Earlier cases should be treated instantly with antimalarial drugs or above explained ayurvedic medicines.